You can be excused if you haven’t heard of Play ‘n Go, a company that has been in the business of creating online gambling games for nearly two decades. While they aren’t one of the major names in online pokies, they offer a number of creative, fun titles that offer classic action with thematic twists. If you want to play straightforward games that combine solid gameplay with attractive graphics and sound packages, take a look at casinos offering Play ‘n Go pokies. 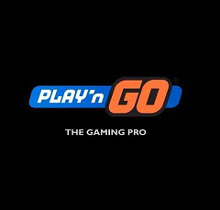 Based in Sweden, Play ‘n Go was first launched in 1997 as a group that worked for other online gambling firms, producing games for larger companies. However, they became an independent software provider in 2005, and since them have worked to create their own games. Since that time, they have developed more than 50 different online pokies. While that’s not enough for them to be considered one of the larger online gambling software groups out there, their long history of producing quality games has made them a trusted name in the industry. Play ‘n Go doesn’t offer some of the fancier features you might see from games developed by other companies. You won’t find any games with licenses from famous movies or video games, nor will Play ‘n Go pokies feature the kinds of massive jackpots found at some other sites. Instead, what you will get with Play ‘n Go is a series of great pokies that cover an entertaining mix of themes. Play ‘n Go’s pokies collection has often been lauded for its excellent graphics, and we have to agree. While the styles of each game are certainly unique, they all look excellent, and sound and musical choices have been made in a way that brings out the flavour of each machine. There are also a number of unique game types that aren’t like your standard pokies. From the “casual social game” feel of Gemix, which is played on a seven-by-seven grid of gems, to card game bonus rounds in the fantasy adventure game Tower Quest, Play n’ Go shines best when it is offering an experience different from anything you’d find at your typical casino site. One other interesting feature developed by Play ‘n Go is the widget game. Like many developers, this company offers games primarily in an instant play format, with many games also available for Android and iPhone/iPad devices. However, they also offered “widget” versions of some of their most popular games that can be integrated directly into a website, allowing them to be played (typically, just for fun) right when they load up on a page. These games can even appear in ads and emails, meaning that you could try a new game right from your inbox! Aztec Idols: This game stars “Rich Wilde,” an Indiana Jones-style character who explores ancient ruins and finds incredible relics. Enter this pokie’s bonus round, and you’ll get your own chance to explore for riches, potentially winning up to 150 times your spin size by collecting valuable idols. There’s also a free spins feature and wild symbols that can earn you up to 5,000 credits. Cats and Cash: The Internet goes wild for cats, so why shouldn’t they be a part of online pokies as well? In this game, you’ll be matching up symbols representing some very fashionable felines in order to collect prize money. There are also two separate bonus games, including one that’s very similar to the popular Deal or No Deal television show. Leprechaun Goes Egypt: This definitely isn’t your classic pokies theme, but surprisingly, it seems to work. Mixing shamrocks with pyramids, Leprechaun Goes Egypt gently combines the two thematic elements without trying anything too ridiculous, making this game more fun than absurd. There are three different free spins games that combine different numbers of spins with multipliers, as well as a bonus round where you’ll help the leprechaun navigate an Egyptian tomb. Myth: Greek mythology has been one of the most common themes for online pokies over the years, so it is no surprise to see Play ‘n Go take a crack at the ancient legends as well. This poker machine is filled with the heroes, gods, and monsters of ancient Greece, all of which can combine to earn you some generous prizes. There’s also a free spins game that holds the potential for huge prizes thanks to a 3x multiplier on all of your wins. Jazz of New Orleans: There’s nothing quite like the sound of classic jazz, and this game certainly brings out the flair, sound and style of a New Orleans jazz club. Jazz of New Orleans features musical bonus rounds and a gamble feature that will let you double or triple your winnings after every spin. However, the most exciting part of this game is the opportunity to play for the three Play ‘n Go jackpots, including the life-changing Dream Chance Jackpot.